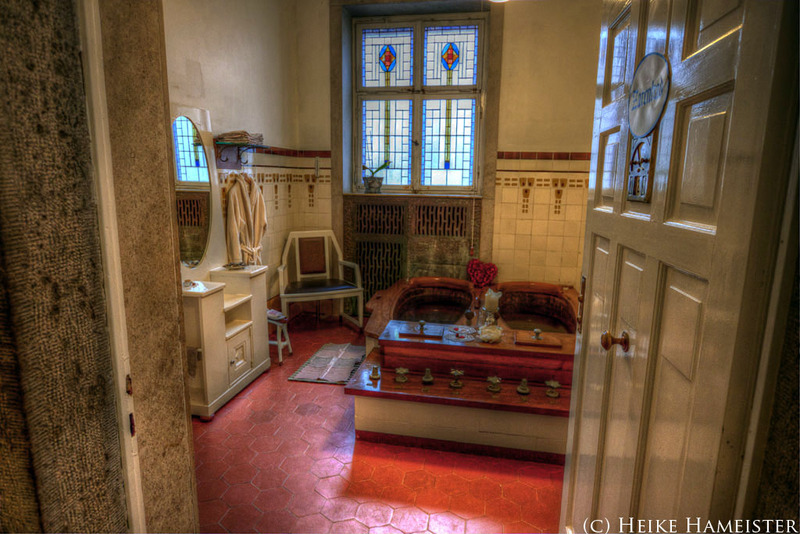 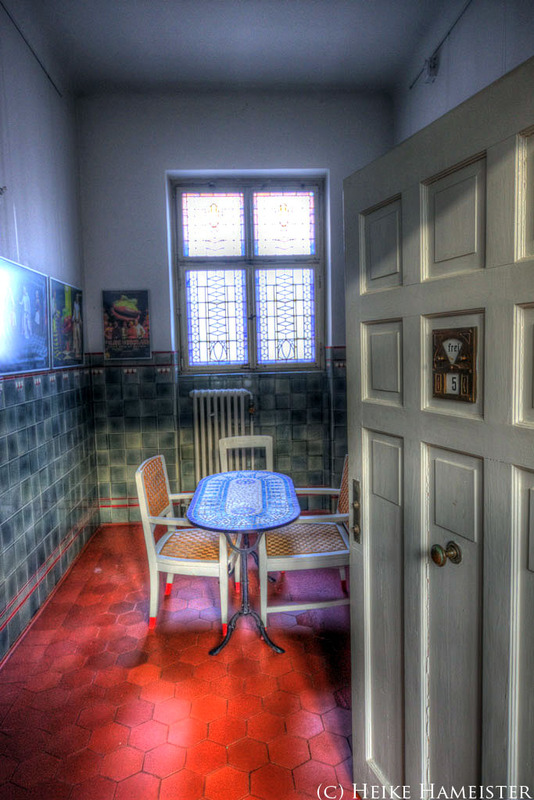 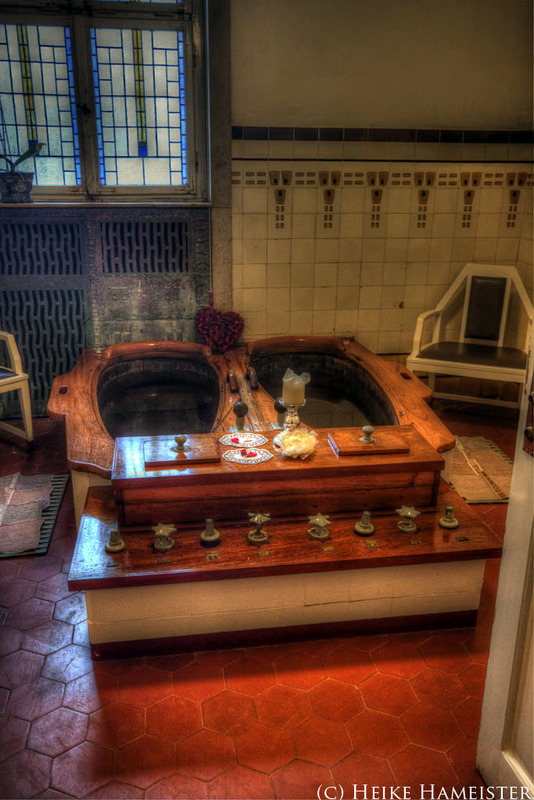 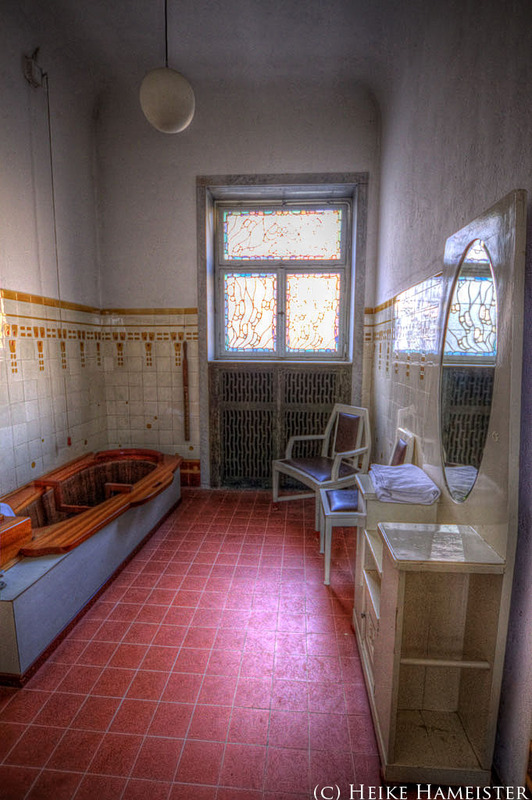 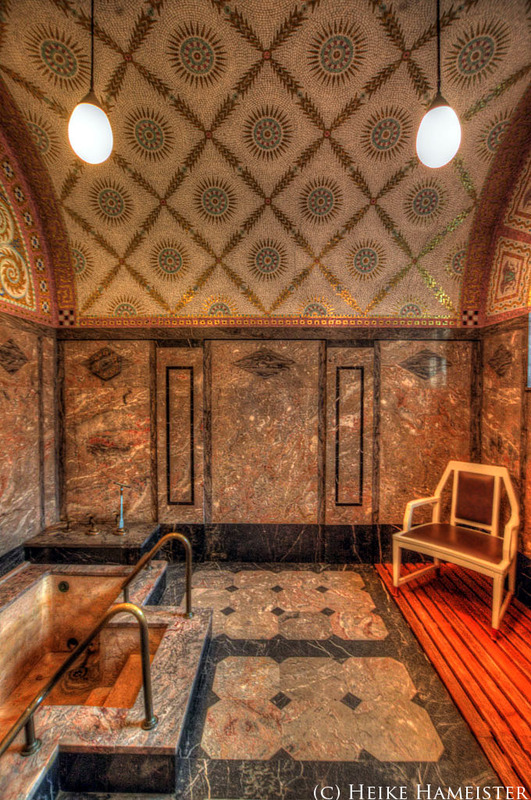 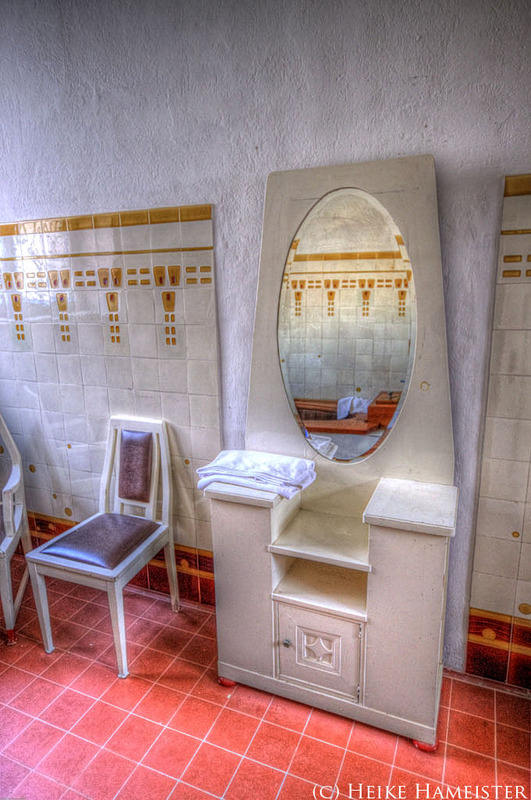 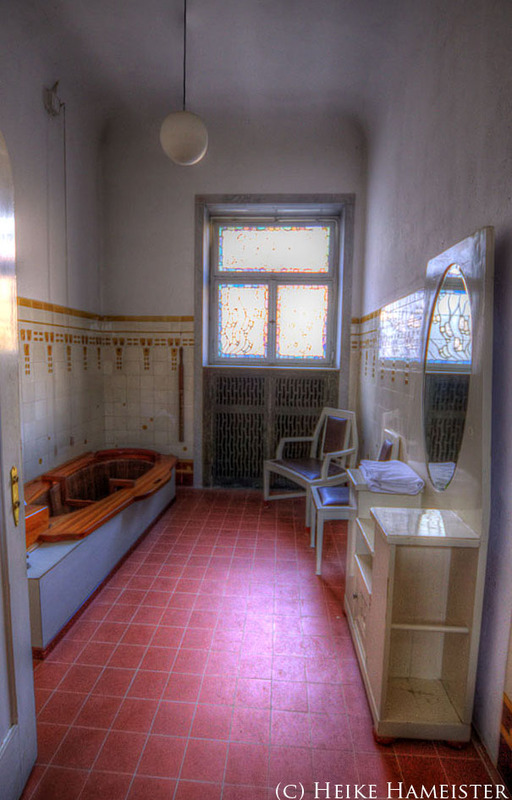 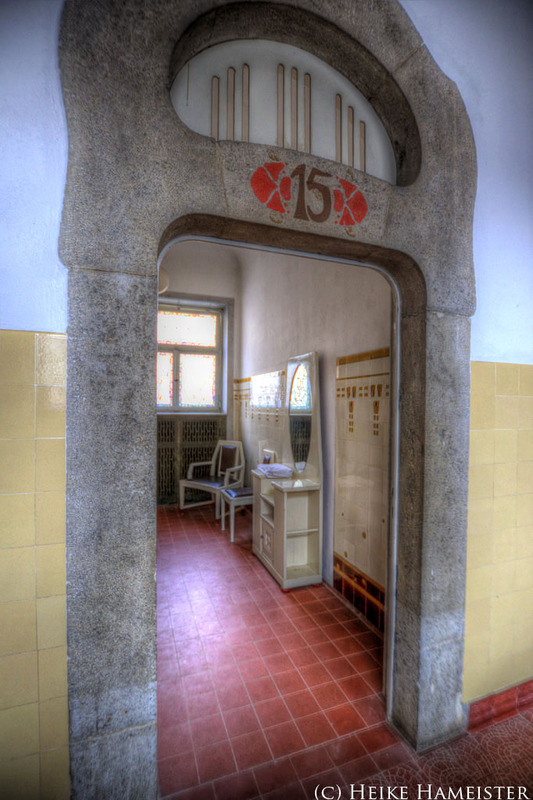 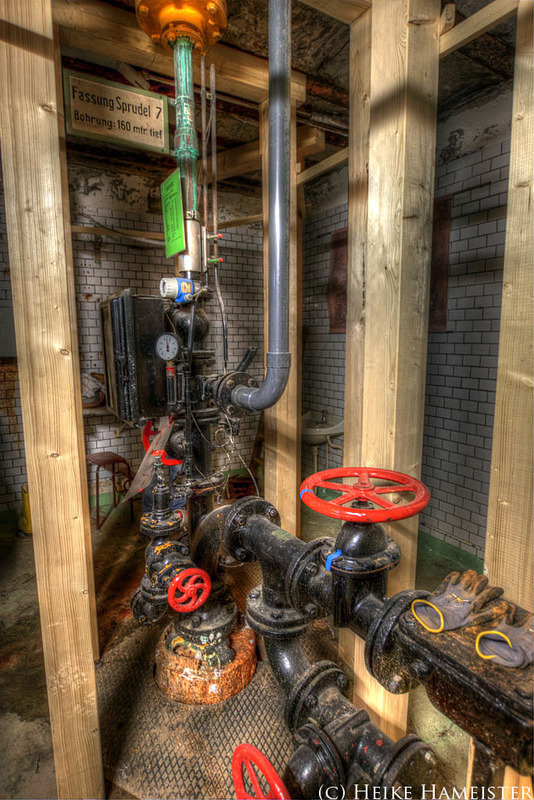 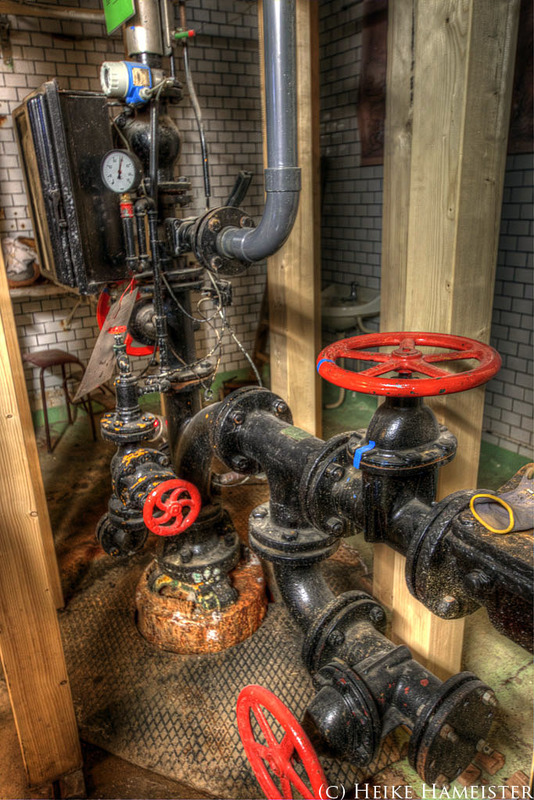 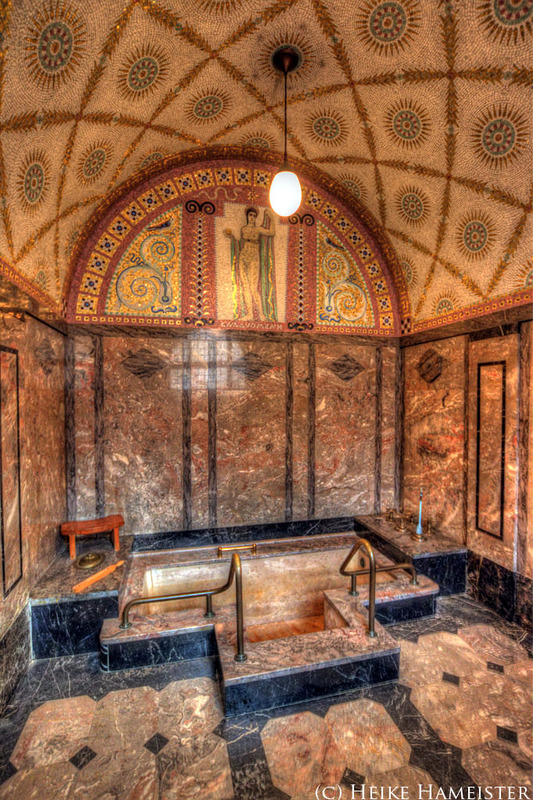 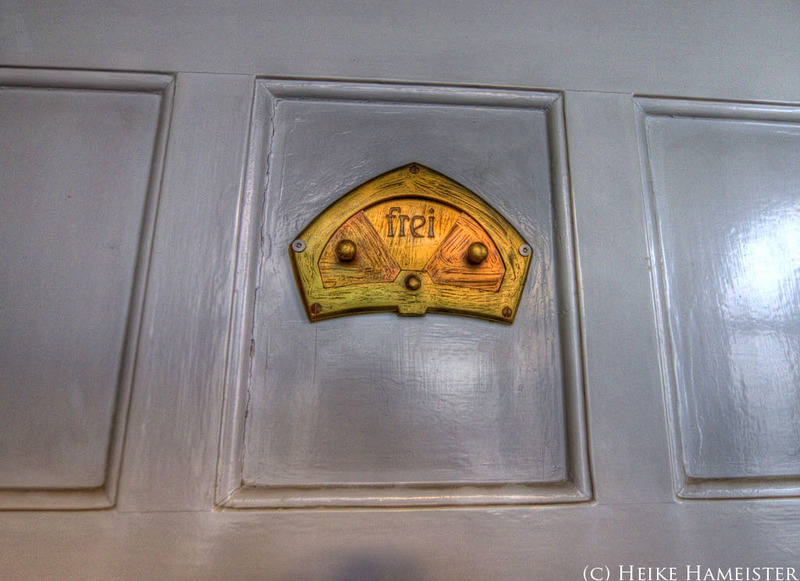 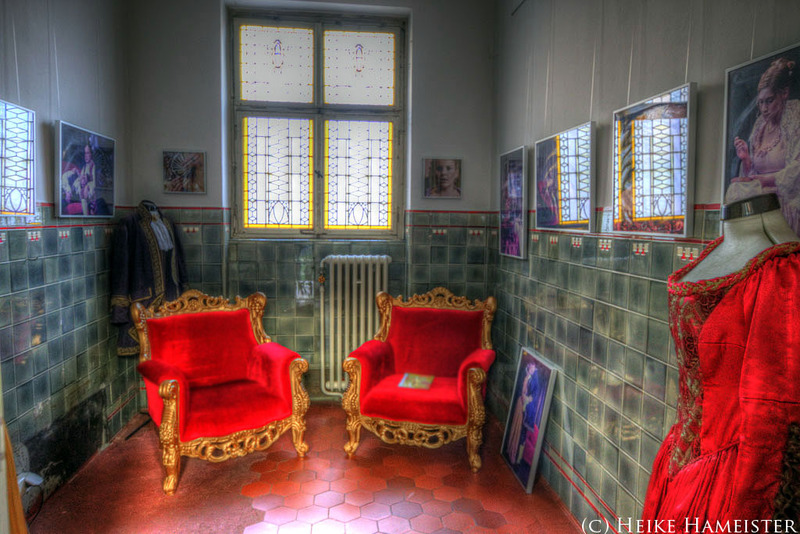 The Sprudeholf or “effervescent” bath is a type of spa bath through which carbon dioxide is bubbled and was one of several types of hydrotherap. 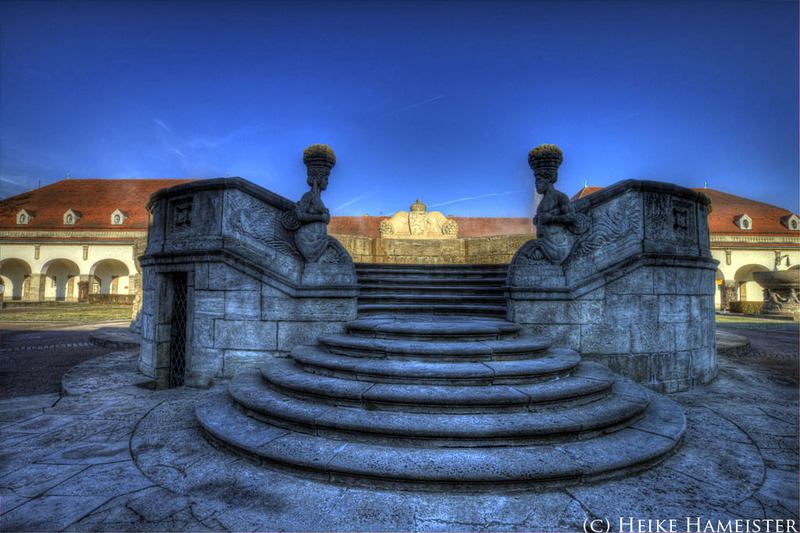 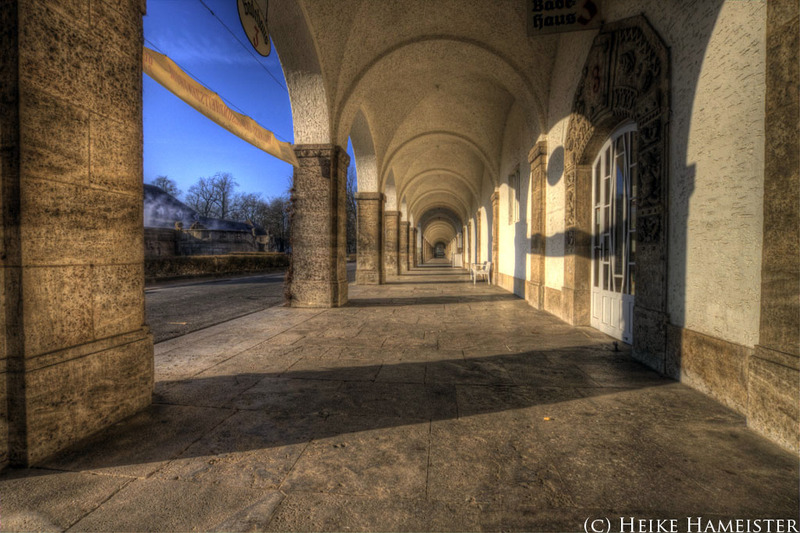 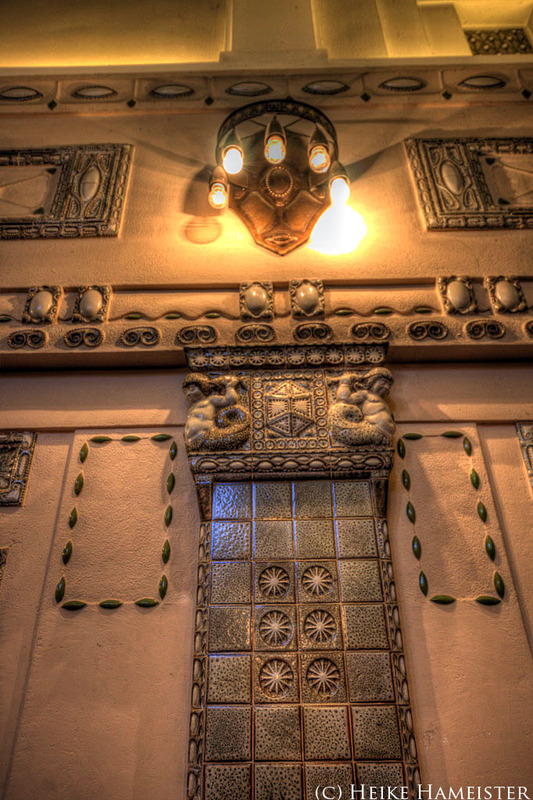 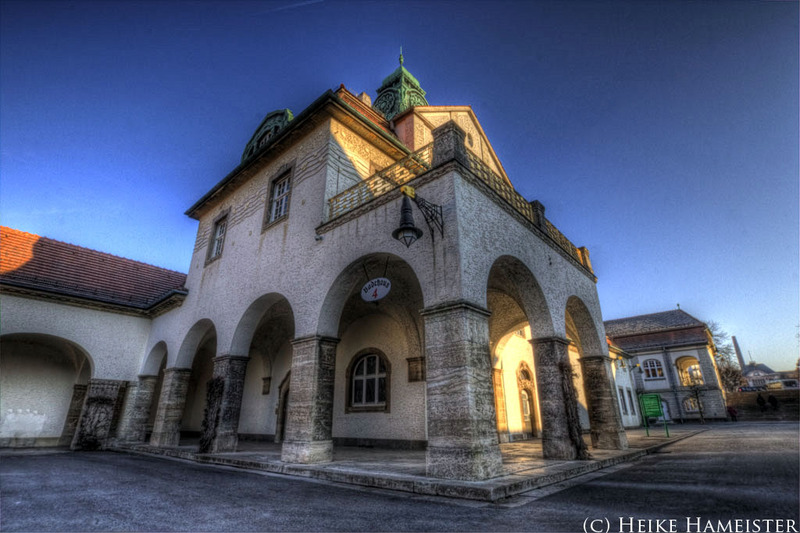 The ensemble is an impressive cultural monument and was built between 1905 and 1911. 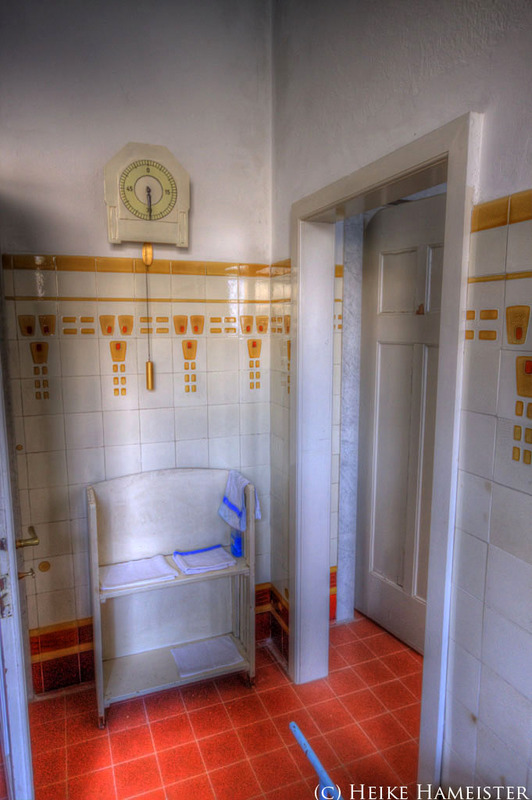 It is a clearly structured and symmetric facility as a whole, as playful and loving is the design of the great little details. 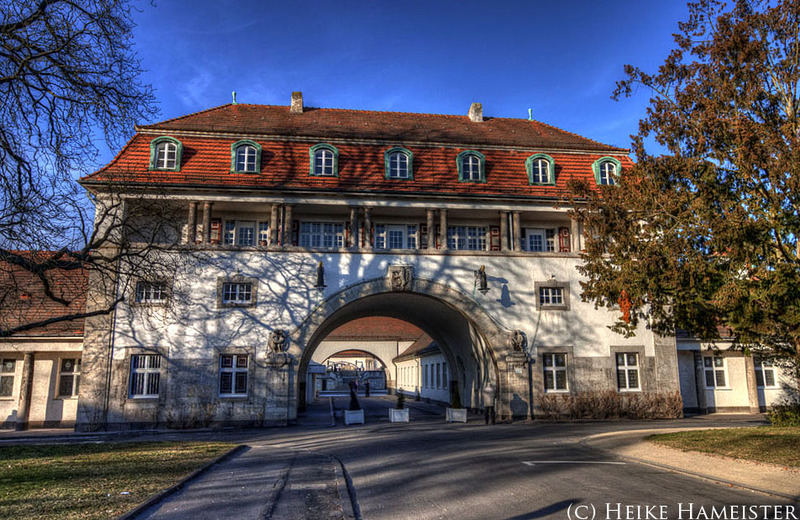 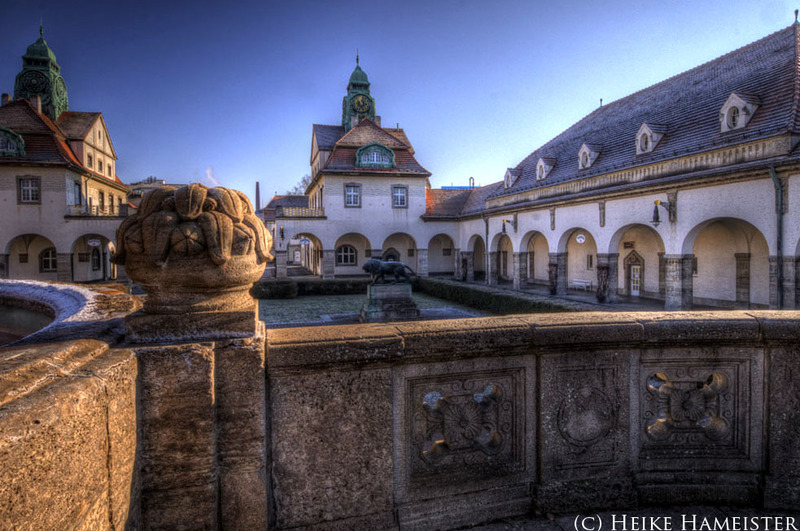 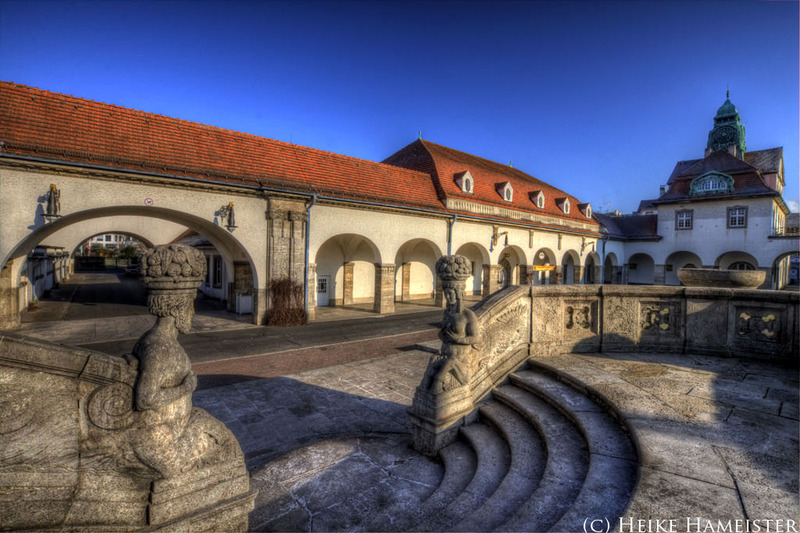 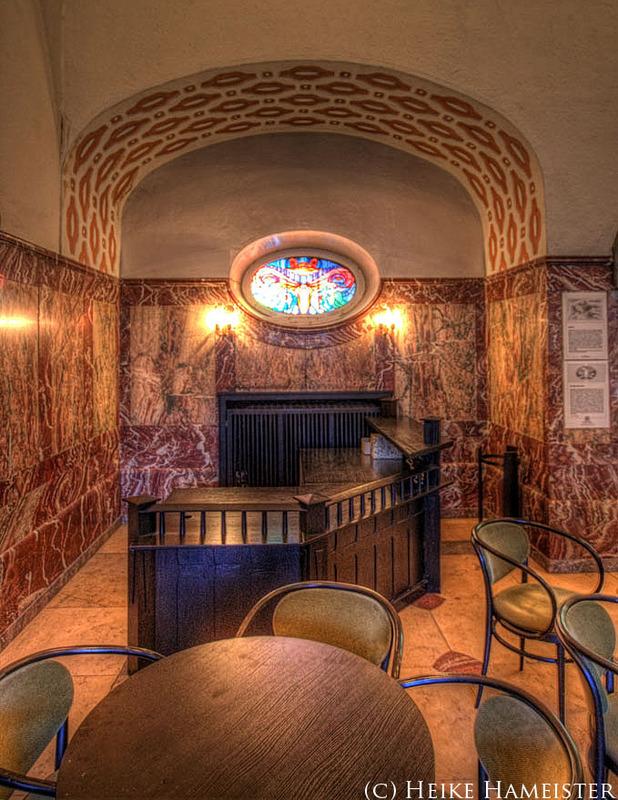 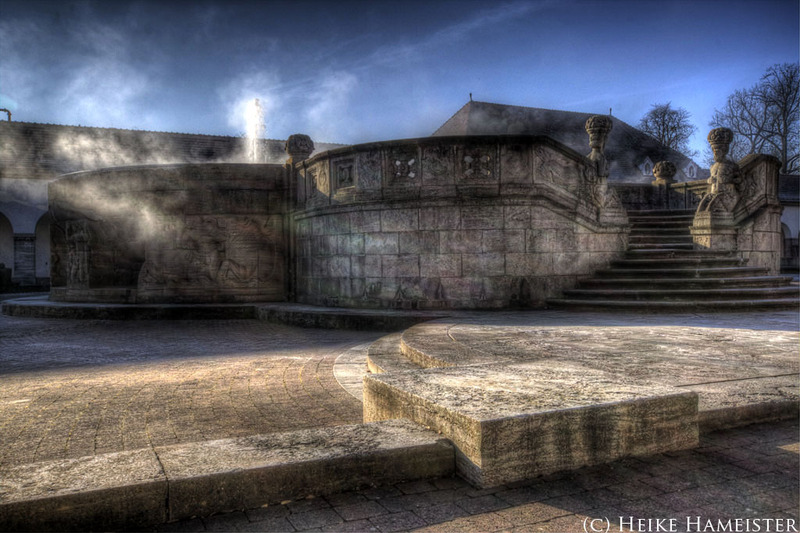 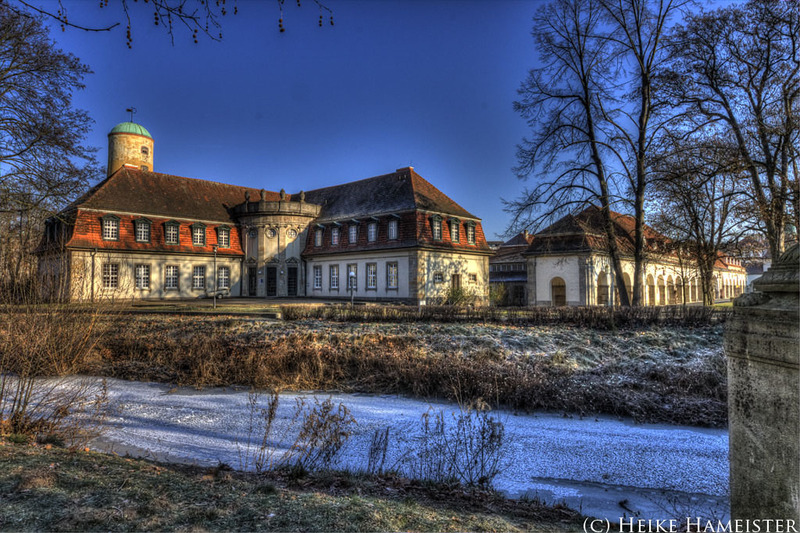 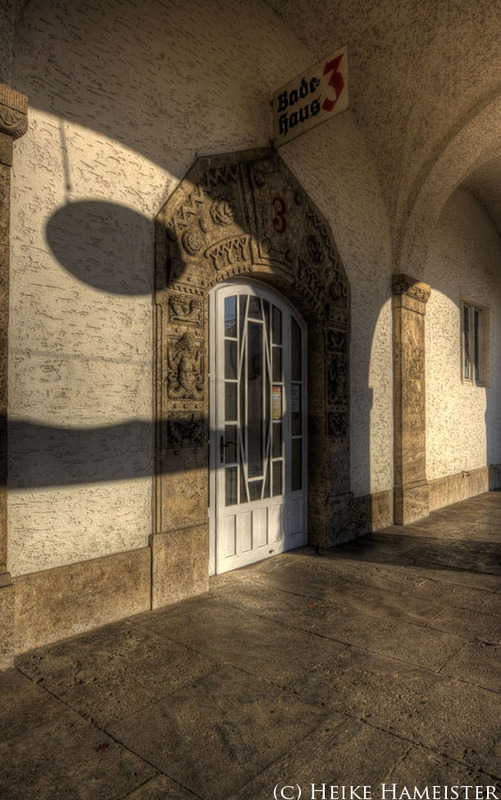 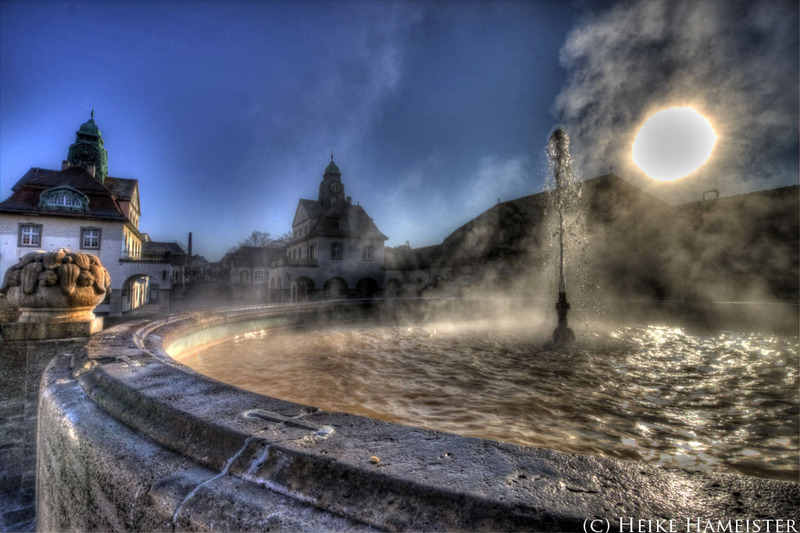 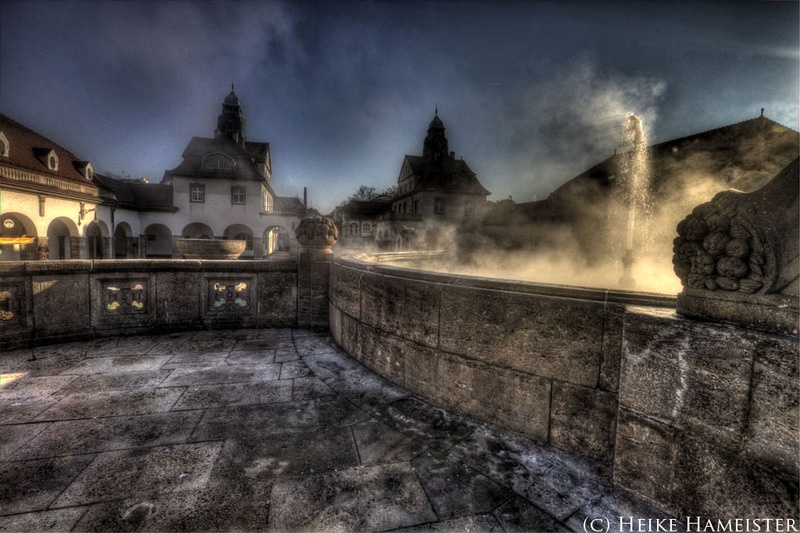 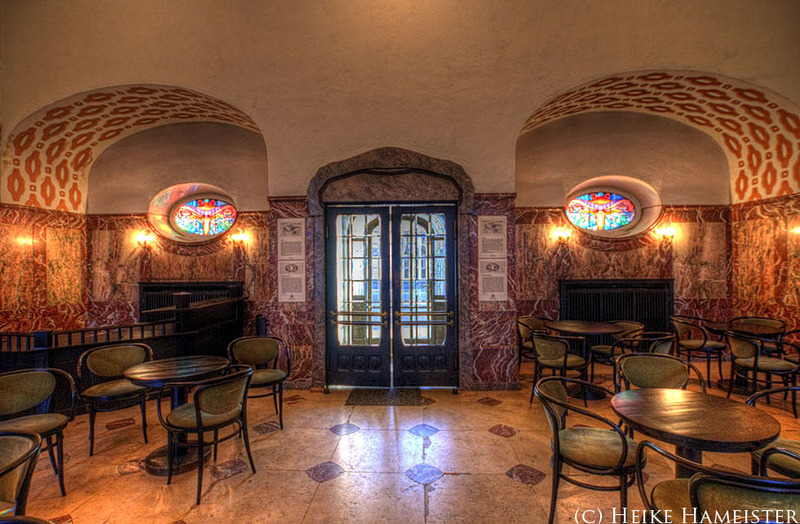 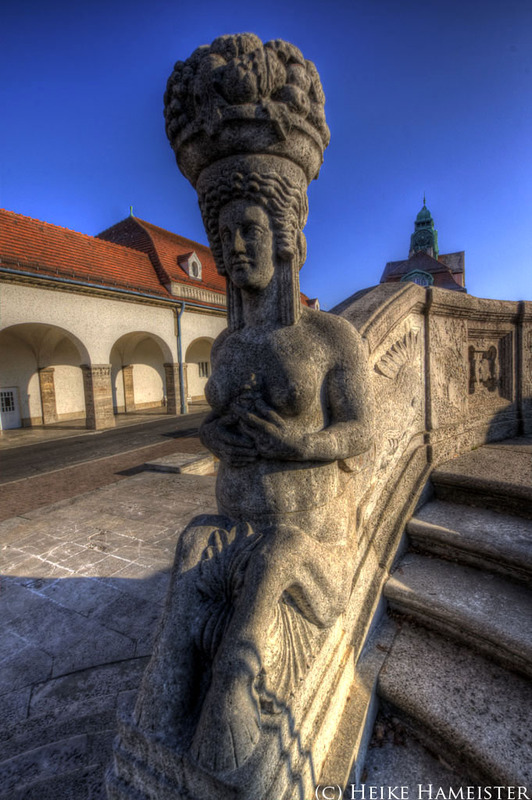 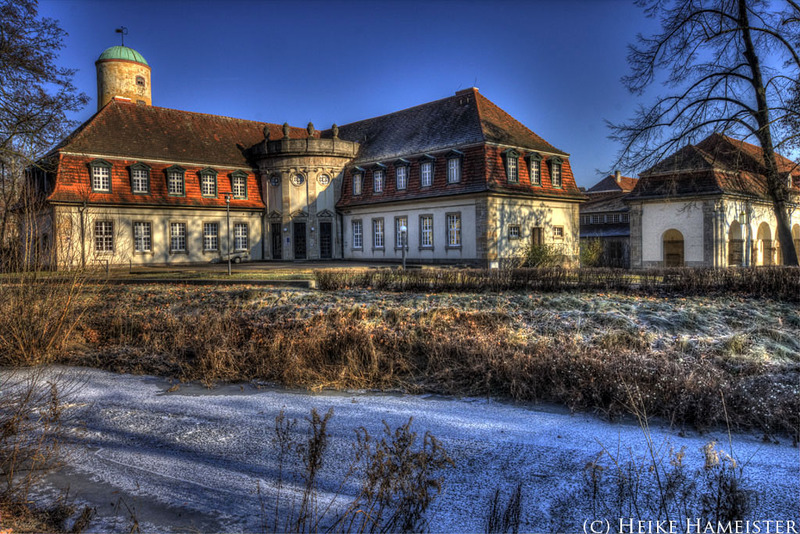 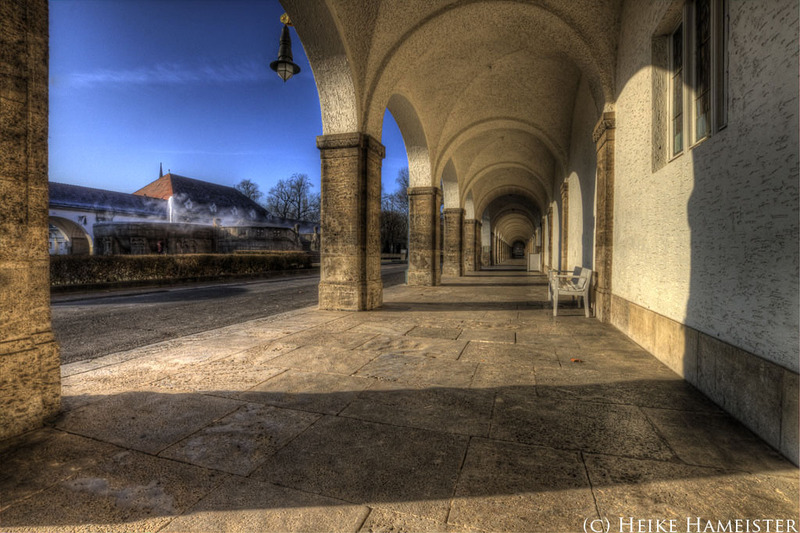 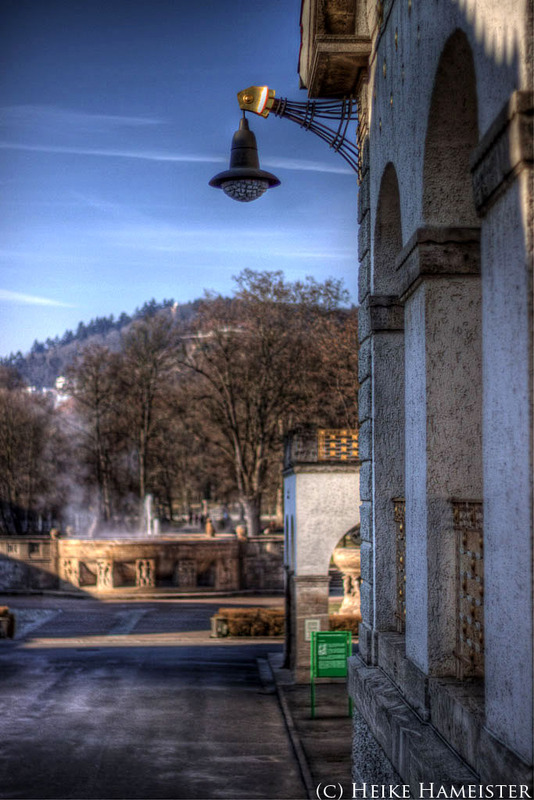 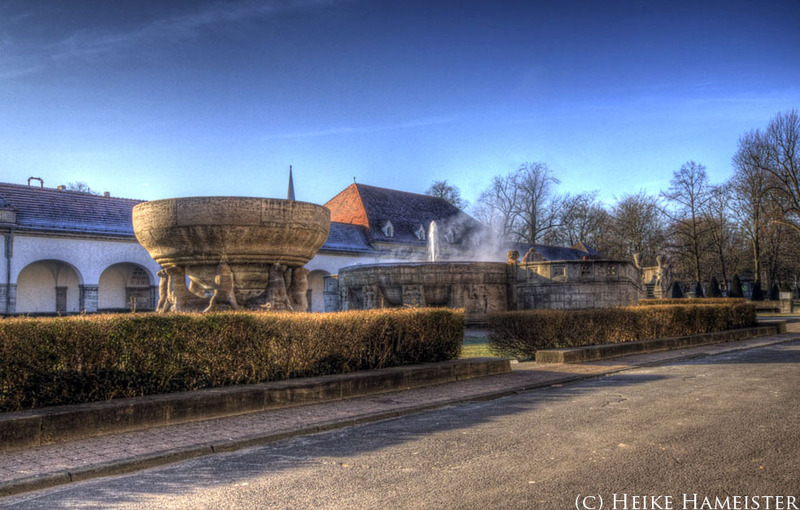 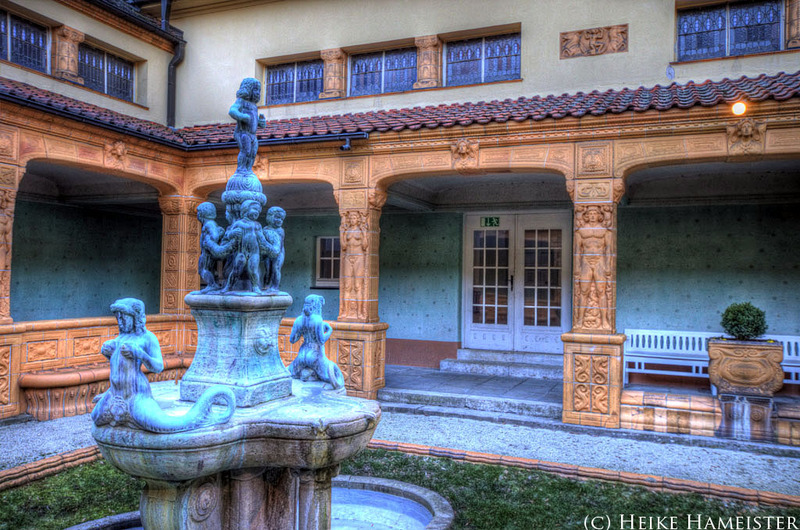 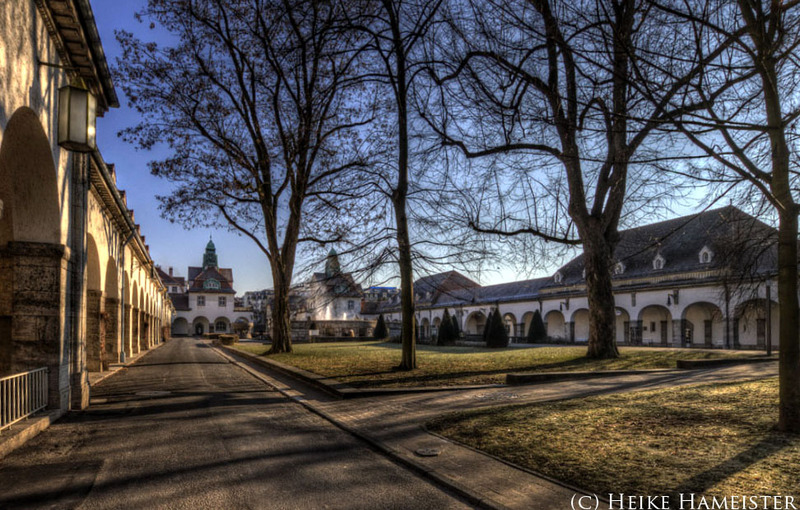 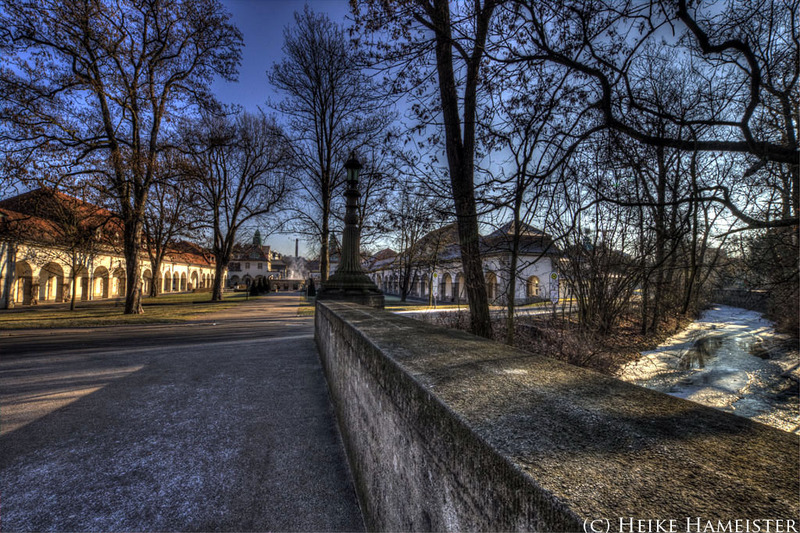 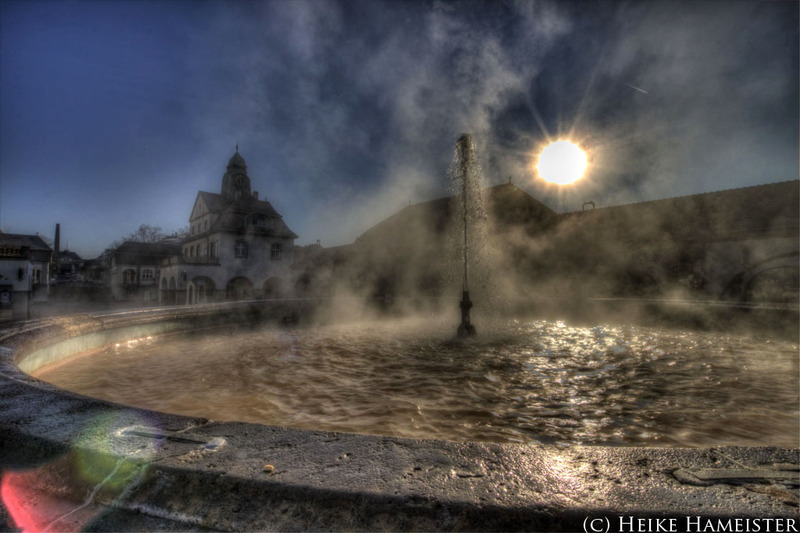 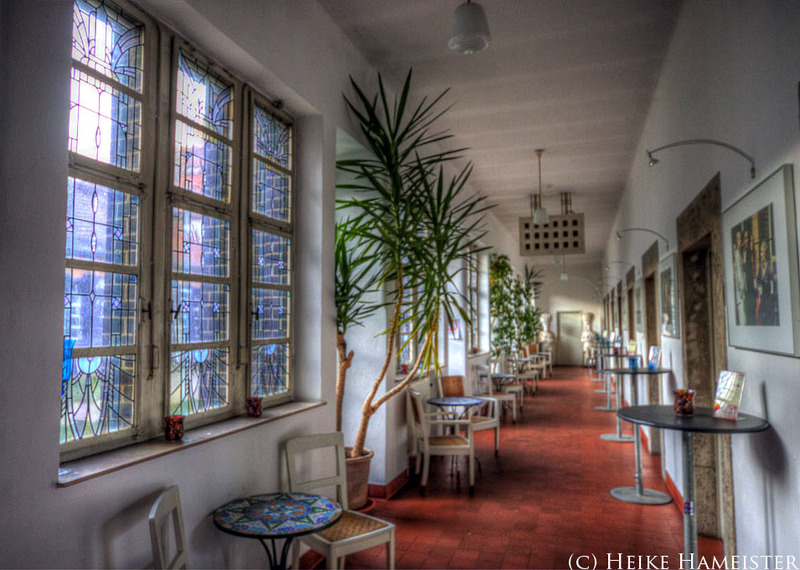 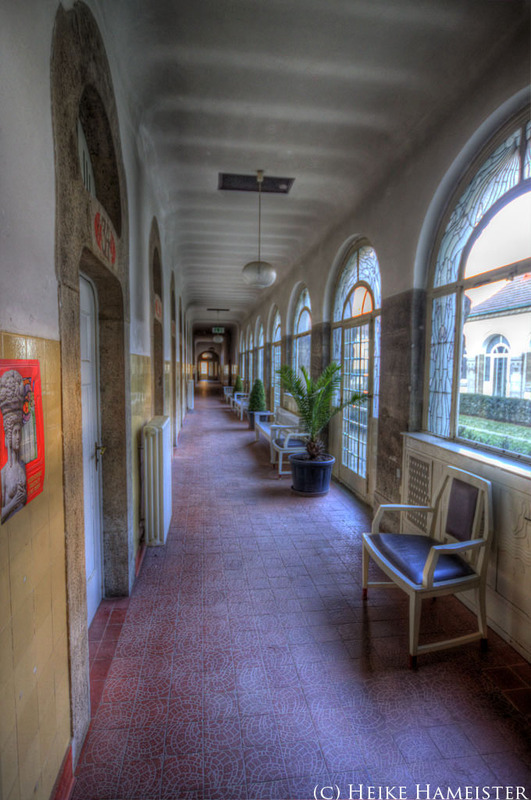 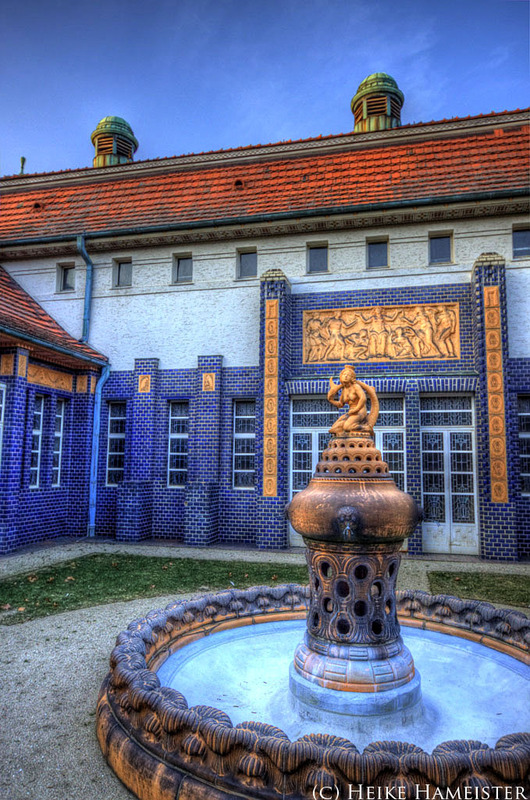 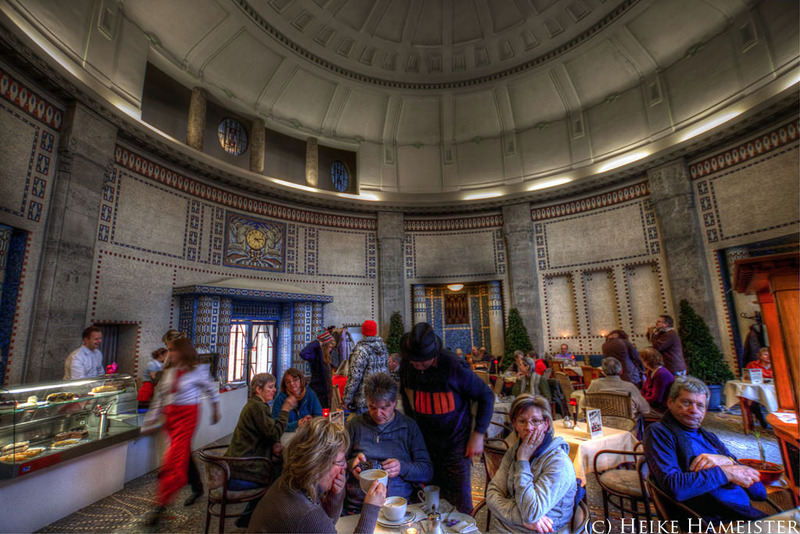 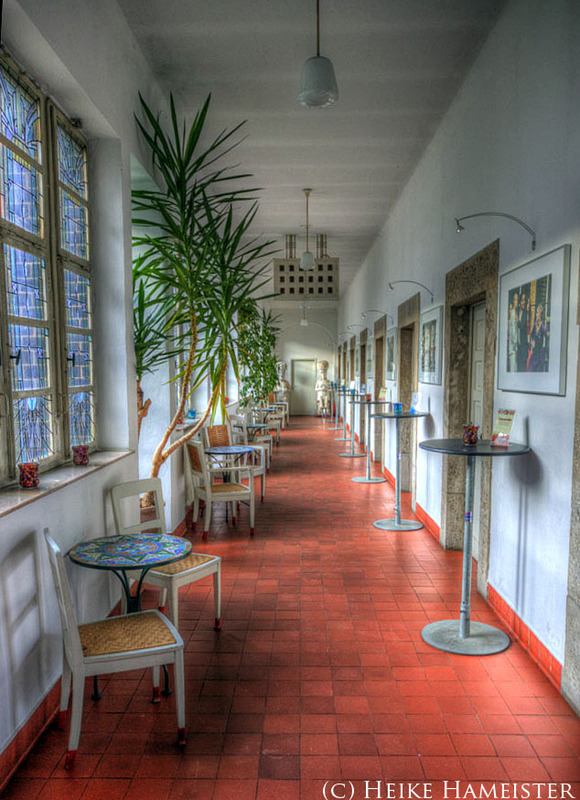 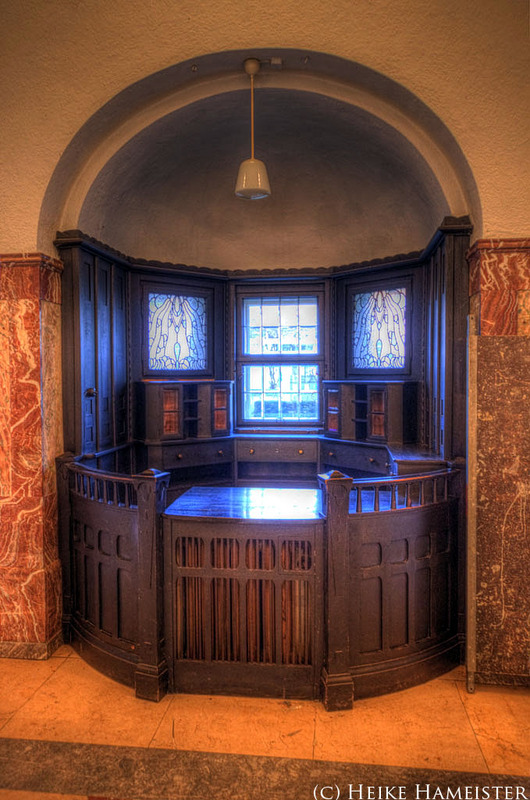 The mineral springs in the centre of the “Sprudelhof” are surrounded by six bath houses and each has an aesthetic waiting hall and an enchanting ornamental courtyard with a fountain.